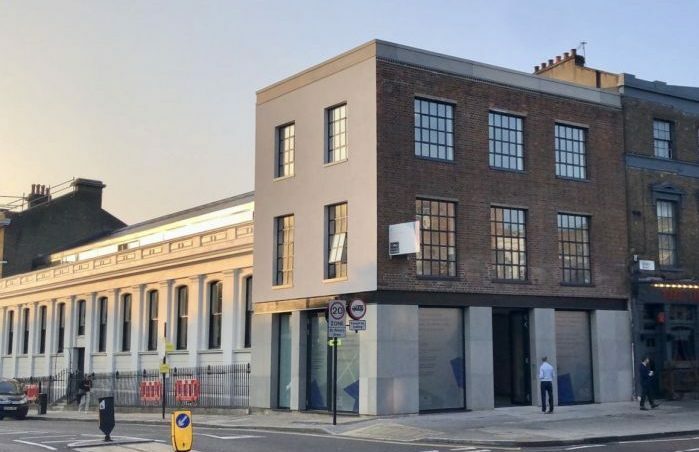 Martin’s Properties, a leading property investment and development company based in Central London, operating throughout the South of England, is delighted to announce the launch of The Old Sorting House, Essex Road, Islington, London. The scheme comprises 21,670 sq ft of office space within the former post office Sorting Office arranged over four floors. Martin’s Properties are launching the office building to the market today through Colliers with a guide rent of £60 per sq ft. Built in 1855by the Postmaster General as a landmark building for the Northern District Post Office, it was converted into The Coronet picture theatre in 1911. Post-war, the building was used as a hardware merchant’s warehouse, an antique shop and a furniture store from. Acquired by Martin’s Properties in 2016, working with leading architects, Ben Adams Architects, the building has been completely redeveloped to offer triplex interconnecting floors and a self contained top floor with a generous roof terrace. The restored building has a modern twist on its industrial heritage including exposed services and structure behind its striking eleavtions fronting on to the corner of Essex Road and Packington Street.